Kerala, known as Gods Own Country has some of the best tourist destinations in India for any kind of holiday. It is the land of coconuts, backwaters, elephants, beaches and the land of rich cultures and traditions. It is without doubt one of the most beautiful places on earth. From the stunning beaches along the Malabar Coast to the maze of backwater canals to the hillside tea plantations in the Western Ghats, Kerala’s landscapes has the most diverse and attracting places to visit for tourists. If you are planning to visit Kerala, Best time to Visit Kerala is from September to March. And here is a selection of the best places to visit in Kerala. 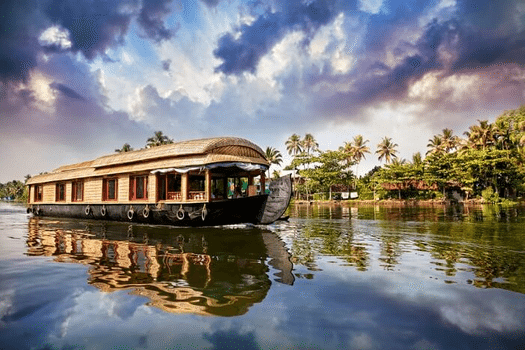 Alleppey: Extremely famous for its beautiful backwaters, the city of Alleppey in Kerala is also known for its beaches, temples and traditional boat races. This popular tourist destination also has some very well reputed Ayurvedic spas and wellness centres. Known For: Houseboats | Backwaters | Alappuzha beach. 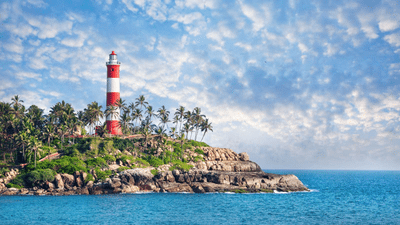 Kovalam: Kovalam is most famous for its three pristine beaches with shallow waters and low tidal waves where one can go surfing and motorboat riding. Kovalam essentially means a "grove of coconut trees" and the little town is filled with these palms. Known For: Water Sports in Kovalam | Lighthouse Beach | Hawah Beach. Kumarakom: Situated on the banks of Vembanad Lake, Kerala's largest lake. Kumarakom is a cluster of many small man-made islands reclaimed from the lake. Boating and fishing facilities are available at the Taj Garden Retreat, a sprawling old bungalow-turned-resort. 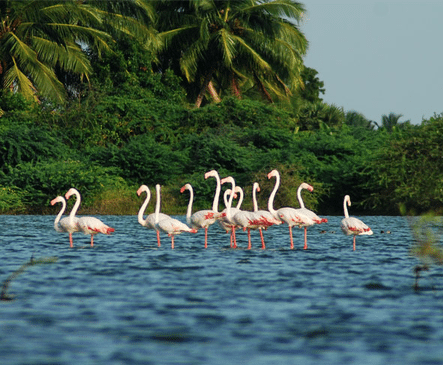 Known For: Kumarakom Bird Sanctuary | Backwaters | Vellavali. 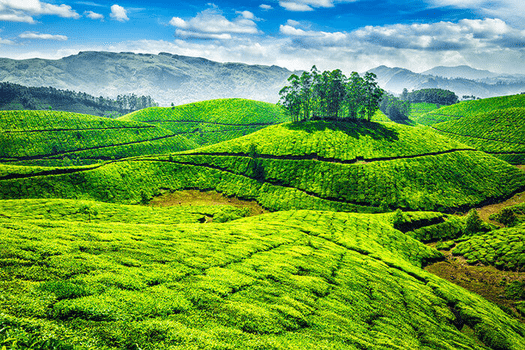 Munnar: One of the biggest tea-plantation area of South India. Munnar is one of the most beautiful and popular hill-stations of Kerala. Situated on the banks of three rivers - Madupetti, Nallathanni and Periavaru. Munnar is also blessed with natural view-points apart from the tea-plantations. Known For: Rose Garden | Echo Point | Elephant Arrival Spot. Bekal: Located on the wide expanse of the Malabar coastline. 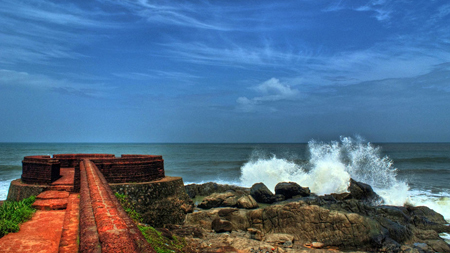 Bekal is famous for its forts, backwaters, and beaches. A set of 45 caves called the Nityanandashram caves, the aqua park, temples and mosques are its major attractions. Other than this one can visit the Bekal Fort and Beach, Kappil Beach and Chandragiri fort. Known For: Bekal Fort | Bekal Fort Beach | The Bekal Hole Aqua Park. 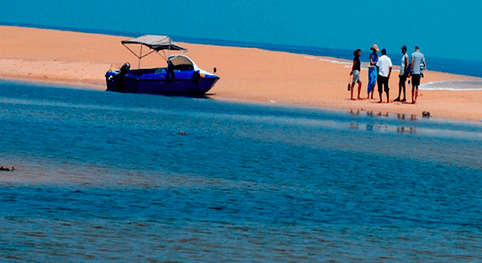 Poovar: Poovar is a lovely island with long stretches of glowing sand, serene surroundings and refreshing gentle breeze. It is a small rustic town situated 27 kms from Thiruvananthapuram with unspoilt, unexplored beaches with clear blue water is an unforgettable experience. Known For: Poovar Beach | Thirparappu Falls | The Fishing Village. 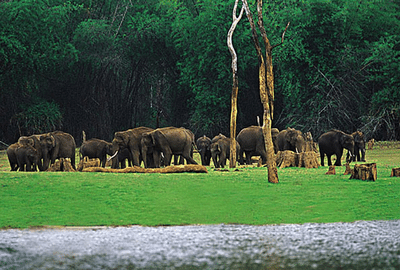 Thekkady: Home to the country's largest Tiger Reserve - Periyar. Thekkady is a great way to enjoy a jungle vacation. The early morning ride in the boat within the sanctuary is an extremely awesome experience and you might be able to spot wild elephants, bisons, wild boars, various kinds of birds, etc. Known For: Periyar National Park | Periyar Tiger Trail | Bamboo Rafting. 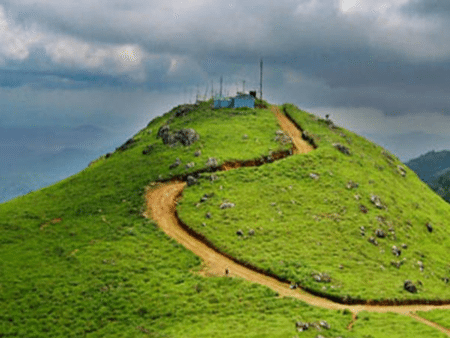 Ponmudi: Nestled in the laps of rolling hills of the Western Ghats, filled with tea-plantations, lush green hills and valleys, waterfalls and streams, this quaint little town draws connoisseurs of mountain life. You can explore trekking and mountain-climbing on Agasthayarkoodam, the highest peak in the region at 1868 ft. above the sea level. Known For: Golden Valley | Trekking | Peppara Wildlife Sanctuary. Kochi: Kochi or Cochin situated on the south-west coast of India, Called as the Queen of the Arabian Sea. In a true vintage-meets-future fashion, pubs, restaurants, shopping hubs and futuristic stores crowd Ernakulum, Jew Town and Fort Kochi while palaces, beaches, temples and heritage sites marking their presence too. 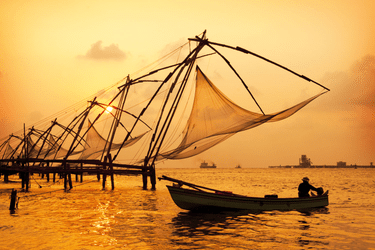 Known For : Willingdon Island | Chinese Fishing Nets | Fort Kochi. Kollam: Steeped in rich past, entangled with unique culture and attributed with nature divine, Kolam lies on the southwest coast of India and has many more hidden treasures troves to be explored. It is one of the oldest ports in Arabian Sea bustling with the activities since the time of ancient Rome. Known For : Punalur | Palaruvi Waterfalls | Karunagappally. Widely distributed as fourteen districts, every nook and corner of Kerala has something that is worth exploring. 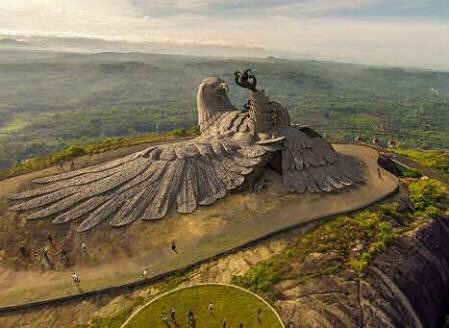 Of the many attractions, which will make you understand why Kerala is one of the top tourist destinations in India after all. Comment below and share your experiences of Kerala. For any other feedback, you can write us here.